A 6 yr old 14.1hh appaloosa filly that I bred. Just been backed and has a stunning nature with no vices and is a real lady. She probably will still grow, and is beautifully put together. A very safe and easy ride, but still needs schooling. 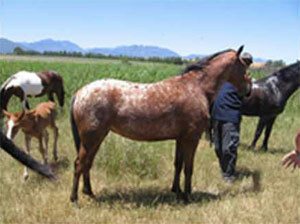 She has pretty markings and will make a lovely child’s pony, lady’s hack, or general all-rounder.